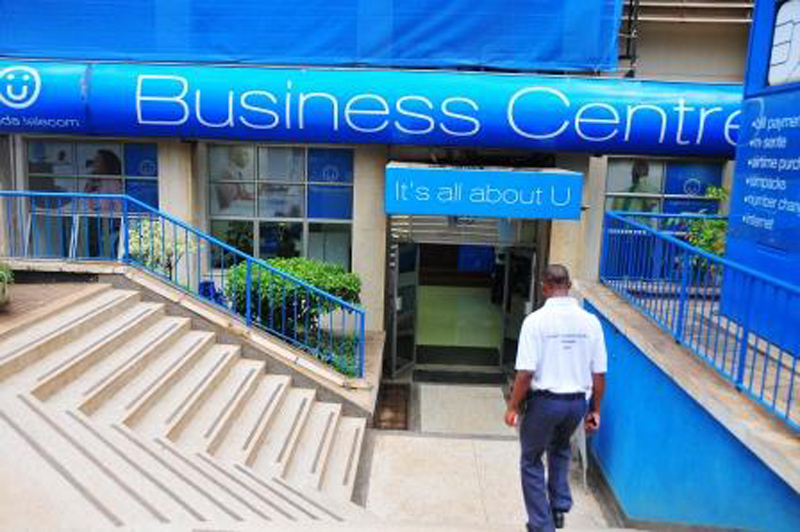 A UTL business centre at the company’s headquarter in Kampala. Government has Wednesday evening announced it has taken over the affairs and management of ailing telecommunications company, Uganda Telecom (UTL). In a statement released on Wednesday, said they had taken the decision against the troubled telecom after Ucom, which owns 61 per cent of UTL, had informed government that it would not inject more funds in the telecom. 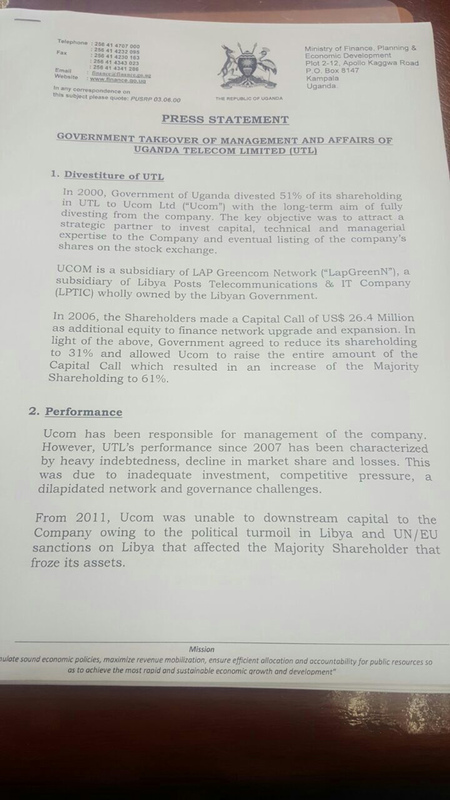 Ucom also informed government that had ordered the five Ucom directors to resign from the UTL board. “Government has decided to take over the affairs and management of UTL with immediate effect and will engage Ucom to ensure an orderly transition,” Kasaija said noting that stakeholders and customers should be rest assured that company would remain operational. The Ministry of Finance statement announcing the takeover. 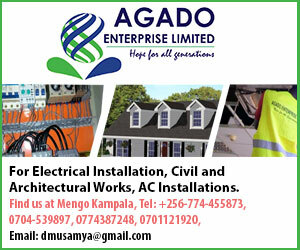 Kasaija also said that the takeover had come at a time before government could sign a draft agreement providing for a turnaround strategy that had been agreed on by shareholders. The government of Uganda holds 39 per cent shareholding in UTL with majority shareholding held by Libya Investment Authority. 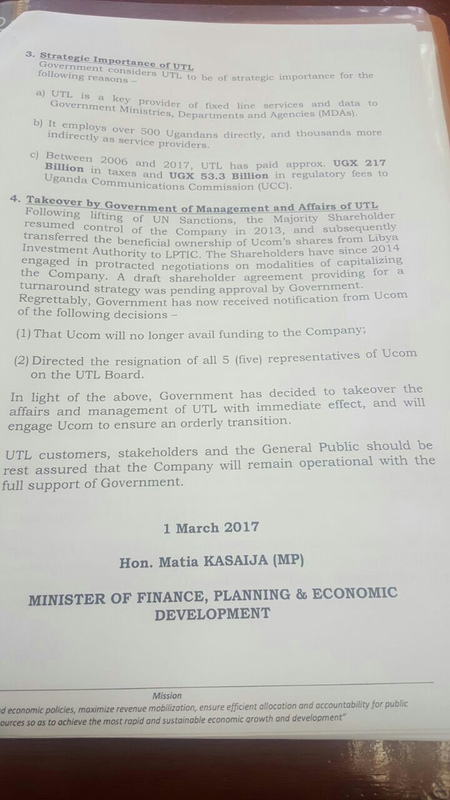 Since 2013, UTL has been financially constrained after the overthrow and eventual killing of Libyan strongman Muammar Gaddafi. The company has had several challenges including failure to pay interconnection fees and failure to remit annual regulatory charges. In 2015 Uganda Communications Commission threatened to withdrawal UTL licence after it was noted that the company’s liabilities had outstripped its assets. According to the 2014 financials the assets stood at Shs280b against liabilities of Shs330b. The company has since struggled to keep afloat cutting staff numbers and cutting investment budget.